“You're sayin' the FBI's gonna pay me to learn to surf! ?” Oh wait, that’s Point Break… Still, even Johnny Utah would dig this bottle of liquid rapture that is as Californian as a Beach Boys song. Thick and richer than a Rockefeller eating warm triple-cream Brie with a soupspoon, this wine has lush aromas of black cherry, vanilla and toasted brioche. 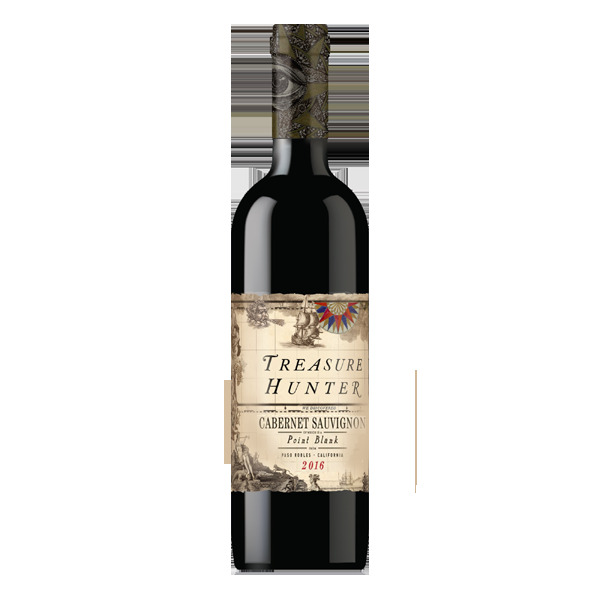 The palate is potent and filled with flavors of stewed blackberries and cherry compote. With a vanilla pudding mouthfeel and roasted game kicker, POINT BLANK finishes with tendrils of blueberry syrup and blackened caramel. You can’t miss at Point Blank.